Replacing the original Optimus L5 which launched at MWC last year, the Optimus L5 II looks to build on the L-Style brand with updated software and bumped up features. 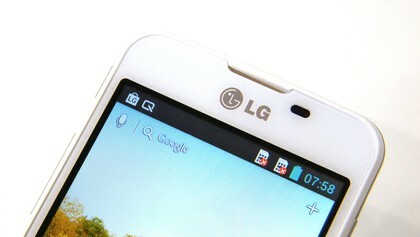 LG says the Optimus L5 2 will be available on a global scale sometime during the second quarter of this year, with the UK already confirmed to receive the handset. 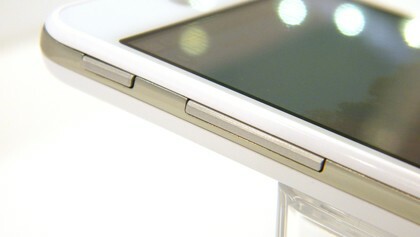 The Optimus L5 2 is expected to retail for around £120 (around $180/AU$175) which will probably equate to £10 – £15 per month on contract. 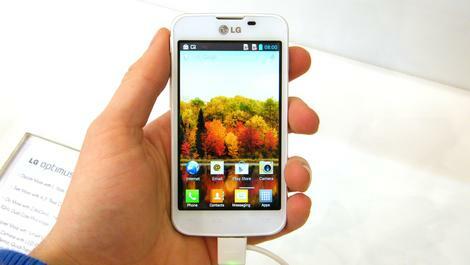 A number of improvements have been made on the Optimus L5 2 over its predecessor, with the 4-inch screen now sporting a HVGA 480×800 IPS display (up from WVGA) with a pixel density of 233ppi. The battery has also been given a boost to 1,700mAh, which LG reckons should last you two full days before requiring another charge. 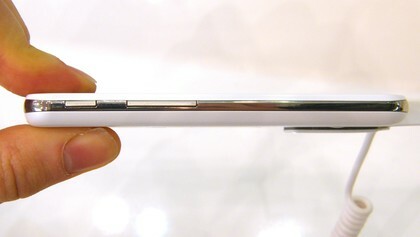 The L-series of handsets is LG’s budget offering and therefore plastic is very much the material of choice on the Optimus L5 2, but the metallic looking rim which runs round the edge of the handset does make it look more premium than it actually is. 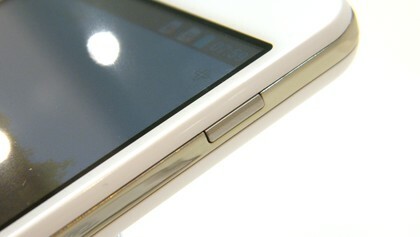 The lightweight design is sturdy and at 117.5 x 62.2 x 9.2 mm the Optimus L5 II is easy to hold, while the buttons below the screen and on either side of the handset are well positioned for finger manipulation. Android Jelly Bean is the operating system of choice on the Optimus L5 2 and LG has applied a basic overlay adding features such as quick settings in the notification bar, but leaving a lot of the Android settings as they are. Slightly disappointingly the Optimus L5 2 rocks the same processor, RAM and internal storage as the smaller, cheaper Optimus L3 2, with a 1GHz single-core chip, 512MB of RAM and 4G of memory at your disposal. Although considering the low cost of this handset those specifications aren’t particularly poor. Jelly Bean runs well on the Optimus L5 2 and although it might not be winning any speed races, we didn’t experience lag issues. There’s a handy button on the left side of the handset above the volume rocker which you can programme to launch an app of your choosing, plus it can also be set as the shutter button in the camera app. This quick button will come in useful if you find yourself using one particular app on a regular basis and we can easily see this become a Facebook or Twitter launcher for a lot of people. The 4-inch display is pretty good with reasonable definition, although we found it could be a little on the dark side – especially when watching videos. We didn’t have any trouble with responsiveness however, with the Optimus L5 2 responding merrily to all our various pokes and prods. Apps generally loaded up in good time, but more demanding applications such as Google Maps did take a few extra seconds to gather images and nail down our location. 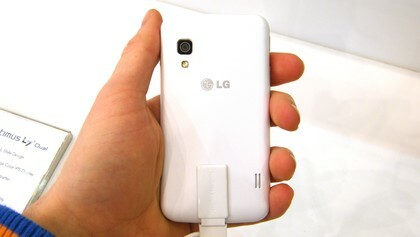 The 5MP camera on the back of the LG Optimus L5 2 is accompanied by a single LED flash to aid you in low light, but there’s no front facing camera here. 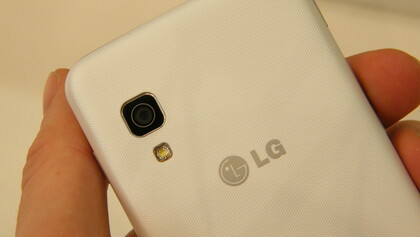 LG’s new "Chesse Shutter" is present on the Optimus L5 II, which lets you snap a picture via a voice command, but the shutter does take a second or two to sort itself out. Image quality is more than acceptable for a handset at the bottom end of the market, although the VGA video recording option is probably best avoided. The on screen keyboard is a relatively decent affair, with the larger 4-inch display of the Optimus L5 2 making it easier to type on than the Optimus L3 2. 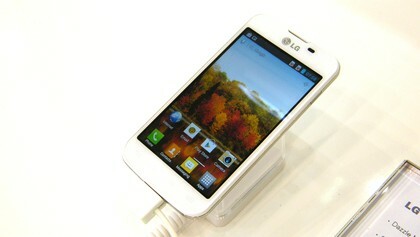 The LG Optimus L5 II is another promising, affordable smartphone from the Korean firm which is looking to strengthen its position at the low-end of the market. 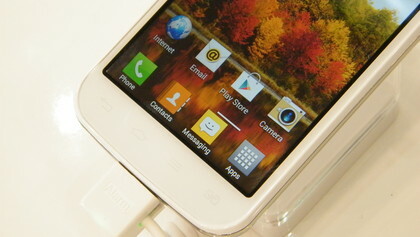 It’s a stylish and well equipped proposition and we look forward to getting the Optimus L5 2 in for a full, in-depth review.